The National Academies Press states that approximately 100 million people in the U.S. live with chronic pain. No statistics currently exist on how many began to experience symptoms after a work-related injury, but it is reasonable to assume that there are many. If you are one of them, however, getting your employer to agree to workers’ compensation can be difficult, especially under Florida law. 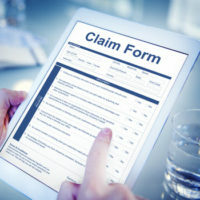 Specific word choices may negate your right to be compensated for the harm you have experienced, though being informed can help you fare better. Chronic pain is very often idiopathic, meaning that its cause is unknown. However, even idiopathic pain often has a traceable origin where it can be pinpointed that the pain either began or was made worse, either in terms of timing or in the area of the body where it began. If you began experiencing heightened pain after a fall or other injury on the job, it is worth having the injury evaluated, but merely saying you have pain is not sufficient under Florida law to begin workers’ compensation proceedings. Florida Statute 440.09 states that one must be able to show “objective evidence of injury” or “objective relevant medical findings” in order to prove a compensable injury occurred, and states explicitly that “pain or other subjective complaints alone … are not compensable.” Pain can be a guide for medical professionals in order to pinpoint the site or the cause of an injury, but its mere existence without medical testing to shed further light on it will not be sufficient to qualify you for workers’ compensation. The idea of medical testing can be scary to some – after all, what if no explanation for their pain is discovered? Also, it is sadly not uncommon for medical professionals to discount the testimony of certain people based on past experiences or prejudices – for example, overweight people, women, or people of Hispanic origin. An injured employee may have a reasonable fear that their concerns will be downplayed if they are seen by a doctor, especially if they have experienced such things in the past – for example, many women report being taken less seriously than their husbands or male friends who require similar medical treatment. Medical tests are still necessary, of course. Subjective complaints cannot be used to place blame on another person under our law, because they cannot be rebutted with proof. However, it does not mean that your pain is not useful or should be discounted altogether. Understanding the commonly accepted pain scale used in hospitals can help – for example, many patients characterize their pain as a 10 out of 10 because they believe it highlights the urgency of needing treatment. However, most doctors will see this as exaggeration or malingering – 10/10 pain is intended to be similar to that of losing a limb or going through childbirth. It is imperative that you are honest as to your pain level; if you are not, you deprive your doctor (and thus, your insurance carrier) of accurate information regarding the nature of your injury. Workers’ compensation cases are difficult to navigate at the best of times, and those involving chronic pain complaints can be infinitely more so. At a time like this, engaging an attorney who pays attention to every detail can make an enormous difference. The Winter Park workers’ compensation attorneys at the Hornsby Law Group can help guide you through the process. Contact us today to set up an initial consultation.